London, England - April 21, 2016 - Vision33 (www.vision33.co.uk) today announced that it has received a 2016 SAP® Pinnacle Award as the Customers’ Choice – Sell, which recognises its outstanding contributions as an SAP partner. SAP presents these awards annually to the top partners that have excelled in developing and growing their partnership with SAP and helping customers run better. Winners and finalists in 19 categories were chosen based on recommendations from the SAP field, customer feedback and performance indicators in the following umbrella categories: Build, Service, and Sell with each category including a Customers’ Choice award, which recognises a customer-nominated SAP partner. 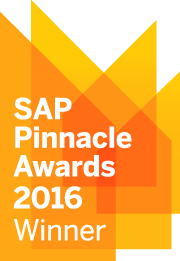 “Vision33 is thrilled to receive the prestigious 2016 SAP Pinnacle Award: Customers’ Choice – Sell”, says Alex Rooney, Vice President, Vision33 US. “This is a milestone moment for Vision33; to be nominated by our valued customers is an honour and speaks to the strength of the mutually beneficial partnerships we maintain. Consistently exceeding the needs of our business partners presents new opportunities to extend the reach of SAP solutions to even more customers driving profit, growth, innovation, and business transformation”. “This award demonstrates that when you choose Vision33, you get a partner that has the ability to maximise your investment in ERP”, says Stephen Loyd, Vice President, Vision33 Canada. “Solutions like SAP Business One version for SAP HANA, cloud hosting for SAP Business One, and SAP Business One for accelerated deployment and integration with SAP ECC give customers the competitive edge they need to succeed in their industry”. Receipt of the 2016 Pinnacle Award signals to global enterprises a customer-centric approach to ERP implementation and support services following Vision33’s European expansion with acquisition of leading UK SAP partner, Alphagen. SMEs and large enterprises partnering with Vision33 for their next global subsidiary rollout of SAP Business One can rely on Vision33 for quality and standardisation throughout each project. “We’re very excited to accept such a prestigious award”, says Neil Feingold, Vice President, Vision33 Europe (formerly Alphagen). “Having become part of the Vision33 global growth story earlier this year, it’s incredible to see how well received Vision33 has been by the SME and large enterprise markets. In Europe, where customers are faced with evaluating a plethora of candidates to find the right SAP partner for the job, the Vision33 brand is a key deciding factor that signals a world-class, customer-centric SAP business solution”. “Winning the SAP Pinnacle Award is a tremendous accomplishment”, said Rodolpho Cardenuto, president of SAP Global Channels & General Business. “Only 16 companies in our ecosystem of 13,000 partners received this recognition. Vision33 should be very proud of their success”. 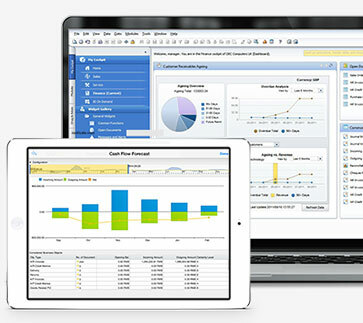 Vision33 was one of the first SAP Business One partners to resell and support the SAP Business One and maintains a dedicated focus on selling and supporting the application. Through leveraging transformative business solutions, Vision33 simplifies business processes for growing enterprises like with a comprehensive business solution that includes SAP Business One and ancillary support services. SAP Pinnacle Awards shine a spotlight on SAP’s partners’ remarkable contributions, acknowledging their dedication to teamwork, innovative approach and capacity to challenge what is possible to help customers achieve their goals. Award winners will be formally recognised at the SAP Global Partner Summit being held on May 16, in conjunction with SAPPHIRE® NOW, SAP’s international customer conference being held in Orlando, Fla., May 17–19. Vision33 Ltd. helps you to challenge your business processes and find efficiencies that help you to attain your business goals and vision for growth and success. Vision33 is a business process implementer and the leading global provider of the SAP Business One® enterprise resource planning (ERP) solution for growing businesses and subsidiaries of large enterprises. Vision33 has been consistently honoured for its notable growth and dedication, earning consistent multi-year titles and awards such as the SAP North America Partner Excellence Award: Top Channel Partner – SAP Business One; SAP Business One Partner of the Year; Accounting Today’s Top VAR 100 List; and INC500/5000 fastest growing company lists.